Barak Obama has been a busy soul over the past two years. Now might be a good time to take a look at some of his achievements. Even though President Obama promised federal dollars would not be used to fund abortions, two states announced they will administer federal mandated high-risk plans through existing high-cost insurance pools. Plans offered through the pools include elective abortion coverage. https://radioviceonline.com/wp-content/uploads/2010/07/frontpg-abortion.jpg 225 150 Steve McGough https://radioviceonline.com/wp-content/uploads/2011/02/rvo-logo-4-300x100.jpg Steve McGough2010-07-19 14:57:592010-07-19 19:06:58Could states use federal health care funding to provide abortions? Is it wrong for me to assume most government bureaucrats are lefties and thus carry the usual lefty baggage with them, including, it’s not a life, it’s a clump of cells, it’s not a heart beat, it’s a heart tone? Make no mistake, government bureaucrats will never view someone else’s life in the same manner as they view their own. Make no mistake, when you put your life in the hands of a bureaucrat you get the latest lefty ideology. Maybe I’m not being fair, maybe? A DEPARTMENT OF Human Services caseworker pressured a pregnant Mayfair teenager to undergo a late-term abortion by threatening to take away either her toddler or her unborn baby if she had the child, according to the teen’s foster mother. The alleged strong-arm tactic happened one day after DHS learned of the pregnancy, when the girl was about 22 weeks pregnant, according to her foster mother and the girl’s social worker, Marisol Rivera. That’s just the beginning of what the Daily News is reporting in Philadelphia. If all of this is as they report, it is just about the saddest thing I have ever read. Rivera, the girl’s social worker, said that she was fired by Concilio, which subcontracted with DHS to provide care, after she initially refused to accompany the teen for the abortion. “They hired me to work in child protection, not to kill children,” Rivera told the Daily News. I wish I could tell that that is where the story ends, but it does not. DHS, ostensibly the state office charged with protecting children apparently does this on a regular basis. Abortions are a little-known aspect of DHS’s oversight of children in its custody. Between September 2006 and March 31, Schwarz said, 335 minors under DHS care became pregnant. Of those, 119 resulted in abortions. Of those abortions, 54 were done by judge’s order. Eight of the abortions were performed out of state, Schwarz said. God save us. I can assure you this reckless disregard for life in the name of budgets and saving us from ourselves (Don’t worry dear, Obamacare will take of care of grandma from here.) will permeate government run health care. Don’t believe me? Here’s Robert Reich. 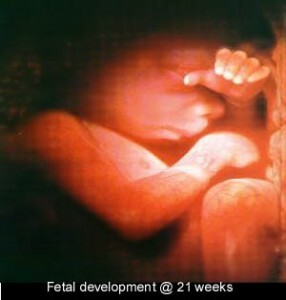 UPDATE: Let me just add that my mom was born at 6 months, the same age as this young child when aborted. She survived during a time when survival at this age of development was unheard of. She had four children, a former Assistant United States Attorney and first woman law partner of a major firm, an engineer, who helped re-design portions of a major metropolis’ mass transit system, an IT who works with a major bank on on-line banking, and a talk show host. No brain surgeons, no Presidents, no captains of industry, just the children of a six month fetus. Just thought you should know. https://radioviceonline.com/wp-content/uploads/2011/02/rvo-logo-4-300x100.jpg 0 0 Jim Vicevich https://radioviceonline.com/wp-content/uploads/2011/02/rvo-logo-4-300x100.jpg Jim Vicevich2010-05-03 16:59:332010-05-04 08:39:39The state and abortion: the shape of things to come?